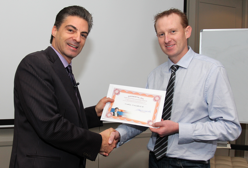 In 2010, we started recognising the Exponential Business Building Bootcamp participant who creates the most value or revenue PRIOR to the Bootcamp. 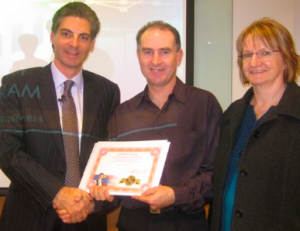 Mark Mackenzie is a Platinum Program Member and was presented with this award in Sydney at the 2012 Exponential Internet Marketing Bootcamp. Mark managed to deploy a series of internet strategies prior to the 2012 Exponential Internet Marketing Bootcamp that saw him create the most value for his company as voted by Bootcamp participants. He expanded the content of the company’s website with split landing pages for graffiti removal that include video case studies allowing prospects to identify exactly what services they require to solve their specific graffiti problem, cutting down on the guesswork and purchase hesitation. Implemented in-truck tablet PCs that enable graffiti removal technicians to view client maps and job photographs live over the web ensuring a more accurate and efficient service delivery. Implemented cloud-based job management solutions that have reduced quote response times to clients by as much as 50%! Provided clients with an online customer portal that enables them to see job status, invoices, before and after job photos and OH&S risk assessments live 24 hrs a day reducing client contractor administration time. Implemented an in-truck company intranet portal for team member communication that has bolstered morale and allowed faster onsite support, reducing time on site, which is a much appreciated cost reduction for clients. Provided an industry first 24hr online graffiti pricing and ordering system for national graffiti removal. Provided an industry first mobile MMS photo upload quick quote service. Secured a contract with a major Adelaide company to provide state wide graffiti irradiation services over the next 5 years using the above technology to reduce their removal budget by 20%. 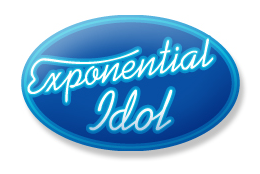 The Exponential Idol Winner in 2011 is confidential. She added over $1,000,000 in sales in one year – as an employee. This illustrates the power of Exponential Mindset Thinking is not restricted to business owners. These strategies work for employees, managers and business executives who want to out-perform their peers. Successful Endeavours had a client who consistently held off ordering until the last moment or even after the last moment. And when they do order, they don’t include all the items they needed so they usually have to follow up and raise yet another order to cover the remaining items they can’t do without. Bootcamp and to put it all on the one order. He also pointed out how much less effort it would be at their end to only have the one order to raise, the one order to sign off on and the one order to reconcile against the delivery. It worked. One month ahead of when they would normally have started ordering they sent the order for the lot and which pulled $9,600+GST of work forward by a month and saved Successful Endeavours a great deal of messing about. It also meant Ray could start early on their project during moments other work was stalled waiting for other clients to resolve issues at their end. Not only is Ray’s cash flow better by the entire amount, the project was delivered early all with less effort for him and his client. That’s why Ray Keefe is the 2010 Exponential Idol Award Winner.